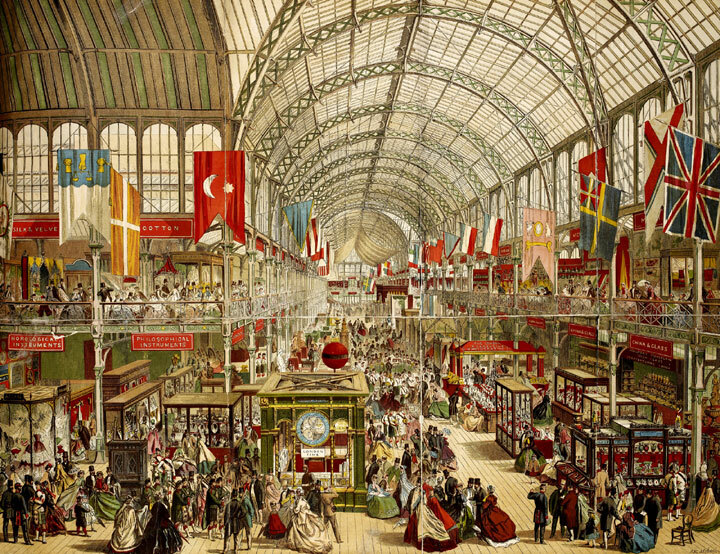 Featuring Andrew Thompson, Bernard Porter, and Stephen Howe, this film focuses on the curious absence of Empire – or what might be called an imperial perspective – in mid-Victorian Britain. The first part explores other powerful ideas of Britain that compete with and at times overshadow the idea of Britain as an imperial nation. The second examines the extent to which these national ideas – imperial or otherwise – reverberated with the wider population. The title for this film was adapted from a chapter title in Bernard Porter’s Absent Minded Imperialists (as you may know Prof. Porter’s book was – and still is – the subject of quite considerable debate, and I will return to this in a later section). Following Prof. Porter’s lead, I have in this chapter examined the relationship of different social groups to empire – and how their socio-economic status back home shaped their interaction with empire. 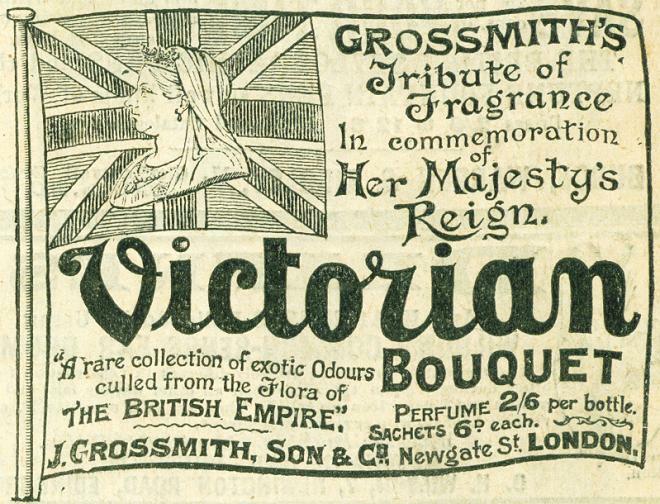 Class, a word out of favour with today’s sociologists, although a broad term, is still a useful categorisation from which to explore the British relationship to Empire. Attitudes formed within a certain social milieu at home were very often carried outward into empire and had considerable influence over how individuals interpreted this new space and their place within it. But I would also want to stress, that although it might be a powerful factor in shaping them, social class didn’t automatically define or limit attitudes towards empire. People from the within the same social group could have conflicting attitudes towards the spread of capitalism, technology, or even the Christian faith. When Britons came into contact with Empire there was no simple uniformity of imperial experience. There seems to be a tendency for some public figures and media commentators to make sweeping assertions about how ‘the Empire’ did this or that to ‘the British’, as if both could somehow be easily defined and the relationship neatly described. 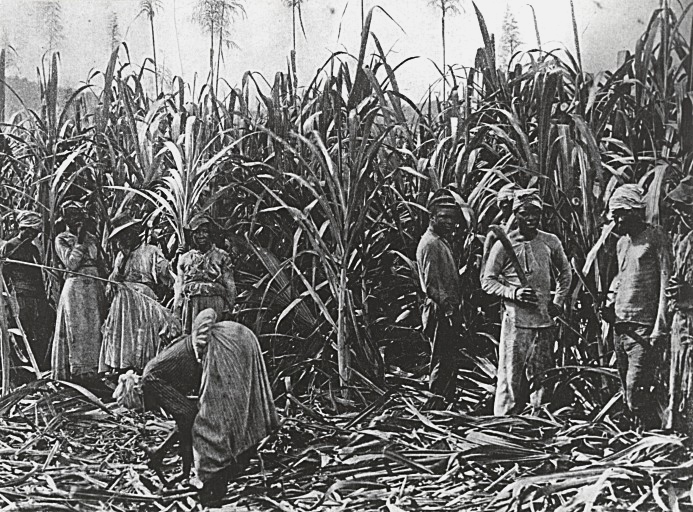 A central theme of these films – perhaps the central theme – is that the relationship between domestic society and Empire was always a complex one, and that this complexity was the result of the diverse nature of Britain’s overseas territory on the one hand, and the diversity of British society on the other. 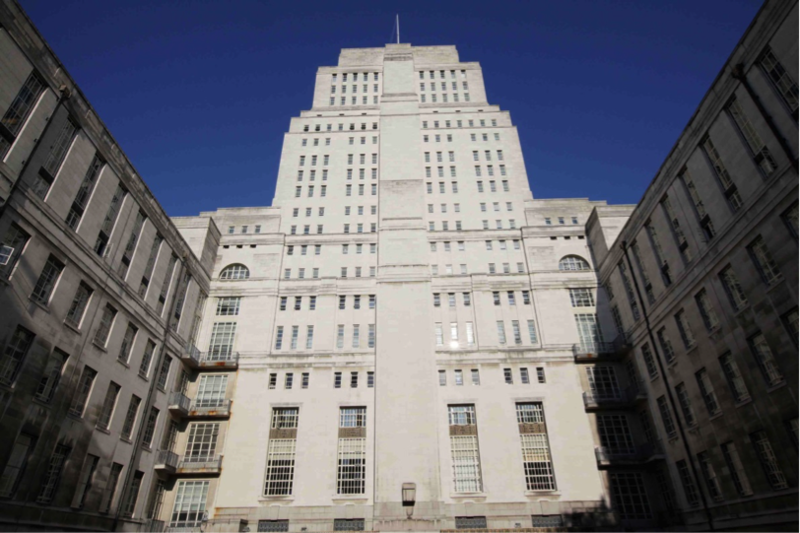 Senate House has featured in many guises from being the supposed model for the Ministry of Truth in George Orwell’s 1984 to Bertie Wooster’s New York apartment block in the TV adaptation of Jeeves and Wooster. This month it played host to the second of three academic workshops connected to the AHRC Imagining Markets network led by David Thackeray, Andrew Thompson and Richard Toye from the University of Exeter. You can read more about the project at www.imaginingmarkets.com. PRIZE GIVING. Victoria Hall 1909. Second Prize Giving ceremony of the new school. 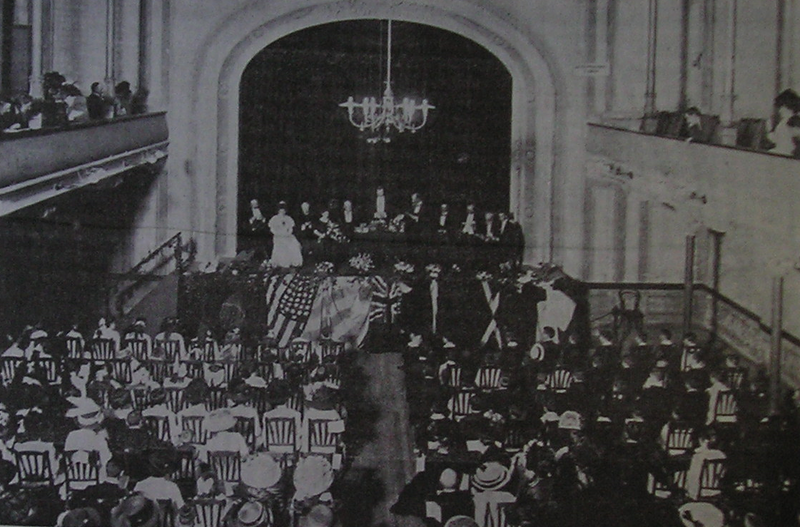 The theatre was a gift of the British colony in Uruguay to Victoria on her Diamond Jubilee, but was inaugurated long after she had passed away. Constantly in financial problems, it was always a problem for the community. Uruguay was never really considered part of the formal British Empire, but it is commonly used as the typical illustration of Britain’s informal empire. Most studies on the relationship between Great Britain and Uruguay during the 19th century are economic and political. Missing are the social and cultural responses of the British colonists to what they perceived as an alien and dangerous environment. 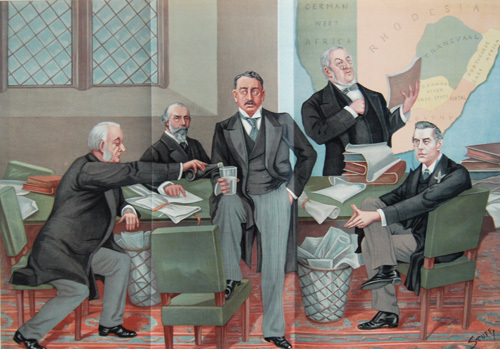 Empire makers and breakers’ – Vanity Fair illustration of the House of Commons inquiry into the Jameson Raid, Nov. 1897. Sir William Harcourt (second from right) sought to use the Raid to attack the position of Cecil Rhodes (centre). What was the nature of British imperial expansion? 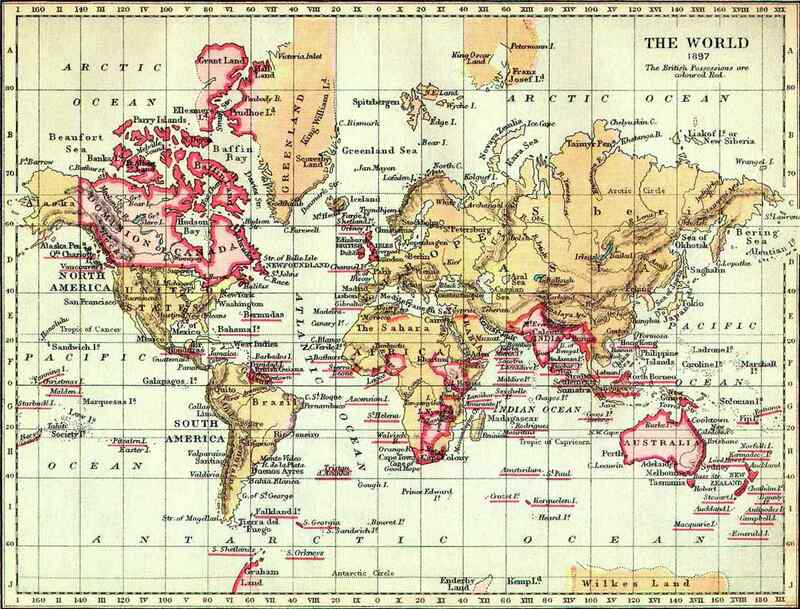 Did British imperialism constitute a form of globalisation? These were the questions put to the participants at the opening of the 2015 International PhD Forum at Peking University on 10th July, which Simon attended as part of a delegation from the University of Exeter, along with postgraduates from PKU and the University of Durham. Drawing on his wider doctoral research into the British Liberal Party and the South African question in late-Victorian and Edwardian Britain, Simon seeks to tackle the first question by analysing the Liberal critique of the British South Africa Company following the Jameson Raid of 1895, and the form of imperialism it was alleged to represent.